Detailing the physical features, habits, territorial reach and other identifying qualities of the Roadside Sallow Moth. The rich brown and deep purple colors of the Roadside Sallow are a healthy hue for this furry forest moth. 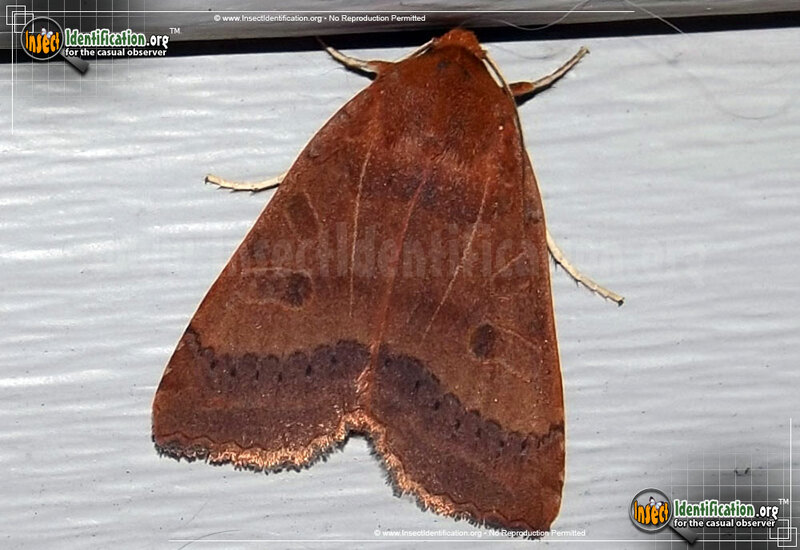 This brown forest dweller has a stout body and light brown wings. Two bubble-shaped reniform spots on each forewing almost touch. Two purple lines cross the wings; one is near the head, the other near the bottom of the wings. Rows of dark brown scalloped lines form a border. The smaller hindwings are gray with a pale pink fringe along the bottom. The Roadside Sallow Moth usually has its wings flat, hiding the hindwings. The brown mottled brown caterpillar feeds on mountain ash trees as well as apple, crabapple and cherry trees. It could pass for a branch or part of the trunk of the tree.